22 Feb 2016 Washington, D.C. 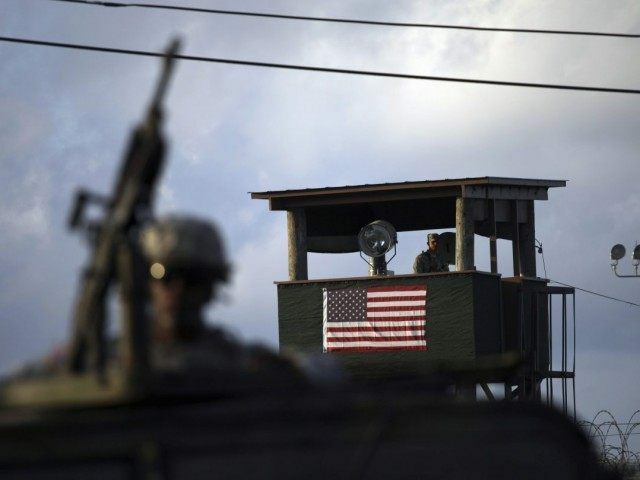 The Pentagon will submit a proposal for shutting down the U.S. military detention facility in Guantánamo Bay, Cuba, a spokesman reportedly said Monday. According to The Hill, Navy Capt. Jeff Davis, a Pentagon spokesman, said the Obama administration will meet the Tuesday deadline for submitting a plan for closing the prison camp and moving its terrorist detainees. “We understand that the deadline is tomorrow and it’s our intent to meet it,” said the spokesman. The proposal will call for the closure of the facility and outline several options on how to do so, added Davis. President Obama has vowed to shut down the Guantánamo Bay prison, which still houses 91 detainees. “The plan is to submit to Congress what our thoughts are on the issue, and what we see is a way ahead necessary to achieve the closure of Guantanamo and to specifically point out the need for legislative relief,” said Davis. The spokesman explained that the Obama administration still plans to transfer out as many prisoners as possible and bring the remaining ones to the United States, a move that is opposed by many lawmakers, particularly GOP members of Congress. In the past several years, lawmakers have prohibited the transfer of detainees to the United States and have placed restrictions on transfers to other countries, arguing that the prisoners pose a national security threat. In a Jan. 15 letter to Rep. Mike Pompeo (R-KS) and military veterans in the House, the Joint Chiefs of Staff (JCS) said the U.S. military “will not take any action contrary to those restrictions” put in place by lawmakers. Rep. Pompeo noted that JCS joined Attorney General Loretta Lynch and Secretary of Defense Ash Carter in asserting that President Obama is legally prohibited from bringing Guantanamo detainees to the United States.